Mr Tokuichi OKAYA, you are one of the Japanese members of the Henokiens Association. Could you please introduce yourself to our readers? > Tokuichi OKAYA : I was born in 1944, and after having worked outside the company, I became the 13th president of the Okaya Group in 1990. Despite Japan's distance from Europe, I've enjoyed having the opportunity to learn about other cultures through my membership to the Henokiens association.  Can you introduce your company and its activities? > TO. : The Okaya Group was founded in Nagoya in 1669, which is where our headquarters remain for 345 years. Our founder was a warrior but, living in the peaceful period under the Tokugawa shogunate after the war, he put down his sword and became a merchant, selling hardware and agricultural equipment. 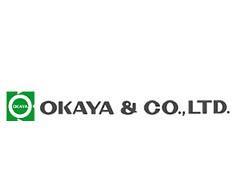 In 1909, the company was divided to Okaya Estate Co., Ltd. and Okaya & Co., Ltd.
Okaya & Co., Ltd. is a publicly traded company today with a growing business in world markets. Consolidated revenues for 2013 were 774 billion JPY (approximately $7.4billion). We have approximately 4800 employees involved in steelworks, machinery, chemical products, and other lines of business in 21 countries around the world. We also have 70 subsidiaries in Japan and across the world. Okaya Estate Co., Ltd is principally involved in building business in Japan. Okaya Estate is registered with the Henokiens. Which have been the outstanding events for your company in recent years? > TO. : With the economy growing more and more global, we have established plants in Poland and Mexico manufacturing metal parts for liquid-crystal televisions and plants in China manufacturing automotive parts. And as our employees around the world share information more and more, our Japanese staff is increasingly involved in our overseas operations. > TO. : We're entering our 345th year of business, which I believe will make an important step forward for companies in the Group. Okaya Estate Co., Ltd. is putting a special focus on low-energy buildings, and Okaya & Co., Ltd. plans to expand handling environmentally beneficial products. > TO. : There are a lot of things, but we've been lucky. I feel the company has been able to strike a cooperative note with some excellent employees. And we've always challenged and looked for new products and partners, allowing the company to change and grow to keep pace with changing times. > TO. : Our business has been able to achieve solid growth by building trust over its long history. We've also established reputation for prospering together with our partners: over our long history, we've never cheated a customer and that has a lot to do with it. .
> TO. : One of the big challenges for a company of such long standing is seeking out new products and partners. In 1871, Okaya established a cloisonné-ware manufacturing company and sent its work to the World Expo between 1873 and 1883. The history of Okaya is a history of continuous innovation and challenges. What is for you the future challenge of your company? > TO. : It's important for the company's health that we bring a lot of energy to our employees, our partners and our shareholders. For that, we must set up a benefit to the society in which we live. > TO. : Only my son works here; none of my other family members do. Do you have a message to communicate to the entrepreneurs and all those who would like to start their own family business? > TO. : As a first message, I would like to say that when a company contributes to the progress of the world, each person whom it works with brings more energy to its job. We therefore consider that we are not just responsible to our family members but also to a lot of people, including our business partners, the families of our employees, etc. My second message is that speed is a part of business. That is why we must continuously maintain the sense of urgency.